Find an ice cube tray and place 2 mint leaves in each cell. Pour boiling water into them and let it stand for a few minutes. Put the tray in the freezer. 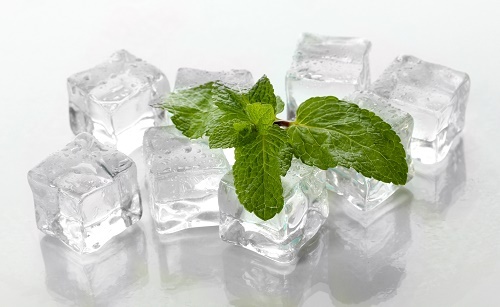 These mint ice cubes should make any kind of cold drink a bit more interesting.